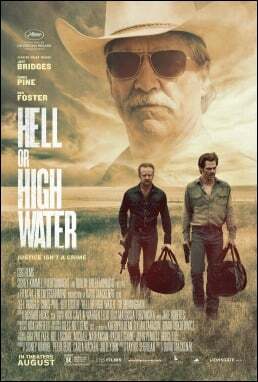 You can practically taste the dirt collecting at the feet of "Hell or High Water's" antiheroes. Some movies have that authenticity, the ability to transport us to a place as well as any thick paperback novel could. “Hell or High Water” does just that. 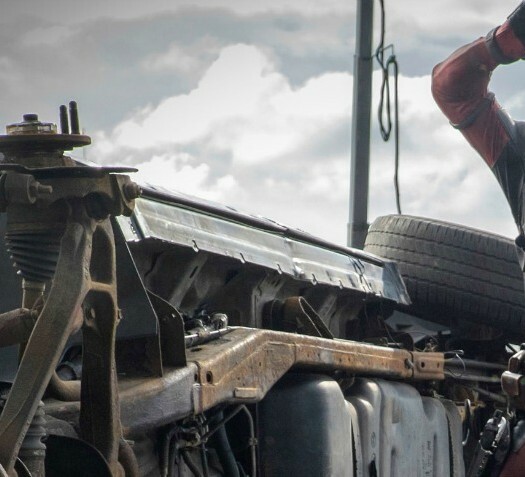 This isn’t a movie production dropping itself on a set and playing pretend. We’re treated to a lived-in world, complete with side characters, salty dialogue and real economic woes. The latter is so real, in fact, the movie obsesses over it. We see Debt Relief signs. Spot closed-up store fronts. Hear character after character bemoan their fiscal fate. It threatens to overwhelm the story, and that’s a shame given how much heart and vitality the narrative packs. Two very different brothers from Texas are on a bank robbing spree. Tanner (Ben Foster) is an ex-con who isn’t fazed by waving a gun in a stranger’s face. Toby (Chris Pine) would rather be doing anything else but scaring bank tellers. The brothers are suffocating under a mountain of bills. That convinces them a string of bank robberies is the only way out. Only they’re not exactly smooth criminals. “All you’re guilty of now is being stupid,” one teller cracks as they attempt to rob her bank. They are savvy enough to steal smaller bills that can’t be traced. Their also impulsive to the core. That leaves a trail of evidence picked up by a pair of Texas Rangers. The odd couple tracking them down? Jeff Bridges and Native American actor Gil Birmingham of “Twilight” fame. Jeff Bridges infused his retiring lawman with grit and a dash of sleuthing genius. He somehow sells us on the shopworn, “I’m getting too old for this s***” shtick. Birmingham’s character offers wise counsel as needed. In between they tease each other like veteran partners often do. Only there’s an edge to their banter. The elder lawman pelts his Native American partner with plenty of “injun” barbs. Their prickly chemistry is a movie unto itself, and the script wisely slows down to let their relationship set in. The “crooks” in question aren’t the villains we expect. Foster’s Tanner is a prototypical live wire, which means he’s perfect for the seriously under-rated star. It’s their plight that gets enormous sympathy. Times are hard. The system appears broken. And curse those darn bankers. “That banks’ been robbing me for 30 years!” one character cries. “Hell or High Water” opens with a slick 360 degree shot, the first sign that we’re in the hands of a confident director. David Mackenzie (“Starred Up,” “Mister Foe”) is fortunate to have Taylor Sheridan’s tart dialogue to light his path. Sheridan, a former “Sons of Anarchy” co-star, wrote “Sicario” to near-universal acclaim last year. Based on that film and “High Water,” he’s the real deal. And yet everyone’s a victim in the new movie, from the brothers to the sassy waitress who won’t cooperate with the police. It’s at once a fitting portrait of America in 2016 and depressing all the same. FAST FACT: Taylor Sheridan sees “Sicario,” “Hell or High Water” and his upcoming “Wind River” as a storytelling trilogy, of sorts. Only he isn’t sure audiences will instantly get the connection. This isn’t a breakneck thriller with the lawmen hot in pursuit. It’s as cagey as the protagonists, but it keeps threatening to become a soapbox thriller. The story even takes an out of left field swipe at televangelists. Every 10 minutes we get another speech, or reminder, of the poverty pockets lining Texas. That time would have been better with Birmingham, Bridges or the brothers heading hurtling toward their fate. That’s a critique born from real emotion. “Hell or High Water” generates an unshakable bond between film and audience. HiT or Miss? : Fine acting. Raw, real dialogue. Picture perfect set design. Only the occasional lecture keeps “Hell or High Water” from making this critics’ Best of the Year list.